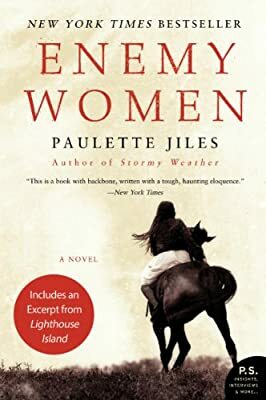 Author: Jiles, Paulette Set In . . .
For the Colleys of southeastern Missouri, the War between the States is a plague that threatens devastation, despite the family’s avowed neutrality. For eighteen-year-old Adair Colley, it is a nightmare that tears apart her family and forces her and her sisters to flee. The treachery of a fellow traveler, however, brings about her arrest, and she is caged with the criminal and deranged in a filthy women’s prison. But young Adair finds that love can live even in a place of horror and despair. Her interrogator, a Union major, falls in love with her and vows to return for her when the fighting is over. Before he leaves for battle, he bestows upon her a precious gift: freedom. Now an escaped "enemy woman," Adair must make her harrowing way south buoyed by a promise . . . seeking a home and a family that may be nothing more than a memory.